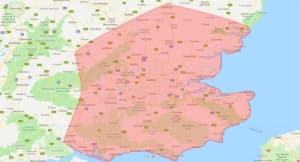 We are based in Dartford but we are ideally located to offer our services to the whole of Greater London and surrounding areas. We offer Textured Exterior Wall Coatings, Rendering and House Painting and all work is guaranteed. 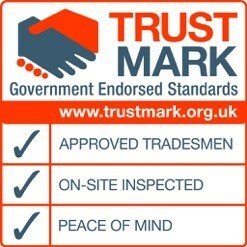 We are registered on the Government endorsed Trustmark Scheme and we provide free quotations. We will prepare the surface by removing loose, flaking paint, treating algae and mildew and power washing. Any loose render would be hacked off and new render would be applied to blend in with the existing render (if the majority of the existing render has failed then we also offer complete re-rendering solutions). Minor cracks would be filled with high quality filler but more severe vertical cracks can be stitched with helical steel bars. Once the exterior surface has been refurbished we can apply a long life coating in a texture and colour of your choice to provide a professional attractive exterior finish. We use a number of different manufacturers and systems so there will be something that caters for your requirements and budget. Many colours and textures are available to suit any property in Erith. All products we work with are professionally installed by experienced applicators. Please phone us free on 0800 145 5161 or visit our contact page to arrange a free no obligation quotation in Erith.